We’re so excited to celebrate Picture Book Month, as we -*drum roll, please*- are working on our third one! Today’s post is all about taking you back to the glorious adventures that picture books possess…Enjoy! Yep, there is a month devoted to the captivating magic of picture books, and rightly so. Of course, we have a very soft spot in our hearts for the inspiration that can come from within the cover of a picture book! When immersed in a picture book, we can experience a full range of emotions: we can be on the edge of our seats, or soaring high on a cloud with delight. We can laugh, be silly or sad, and be completely captivated with wonder. The adventure can take us from feeling uncertain to feeling like celebrating! We connect, sympathize, feel, and overcome right alongside the characters in the tale. The words are only part of the adventure; it’s the color and imagery that really brings the whole experience to life. So we’re going to take you back to a memory of a time when picture books were a portal to wild adventures and sweet heartwarming tales. Get cozy for a few minutes and take a mind dive to the picture books that you (or your own kids or grandkids) fondly enjoyed. Did you have a favorite place to read a picture book? Were you laying on your carpet on your belly with your feet in the air? How about snuggled under the covers? Or maybe on the lap of someone dear to you. Was it in the evening before bed? After a warm splashy bath? How about your favorite kinds of tales to read? Did you like it when the pictures made the story jump out and grab hold of you? Did you enjoy lots of color or a more subdued palette? What about the ending? Do you prefer a sweet ending or a silly one? Did you have one that you read over and over and still sticks in your mind today? Picture books give us such cozy, happy memories, and we hope it does the same for you too! No matter your age, picture books can transport you to fantastical places and ordinary ones too. It’s the ultimate “be in the moment” experience that can take us on a spectacular journey. So, in honor of Picture Book Month, we hope you’ll be inspired to jump into that magic once again! 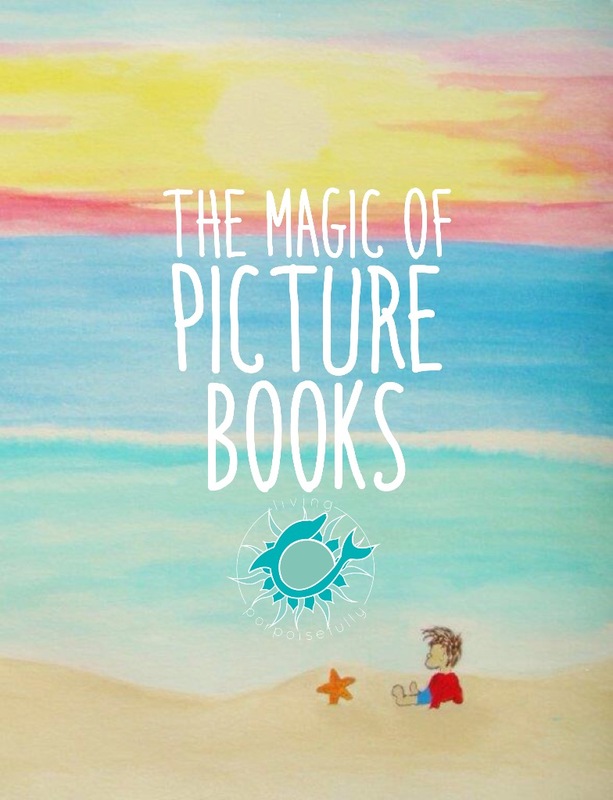 If you have young ones in your life, soak in the magic of picture books right along with them. If not, then be a kid again and pull a picture book off the shelf and page through its glorious adventure.